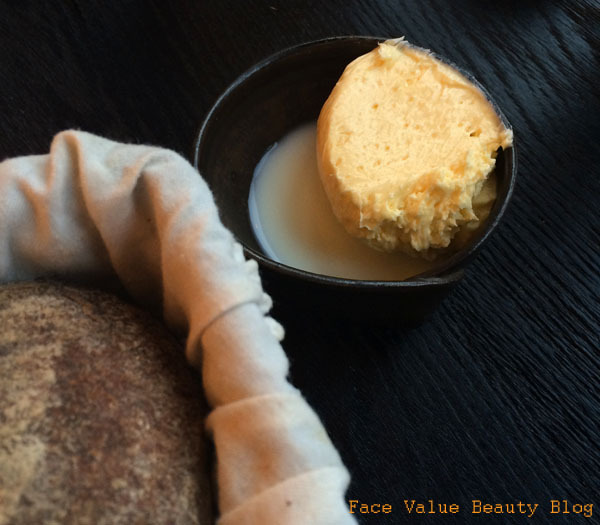 I’ve been promising this for long enough so here we go – the inaugral Face Value FOOD blog. It’s common knowledge from my Instagram feed that I go out to eat, a LOT. Blame it on laziness, excess, or even just my poor cooking skills but my food budget is pretty much the biggest expense for me – after my makeup budget of course. 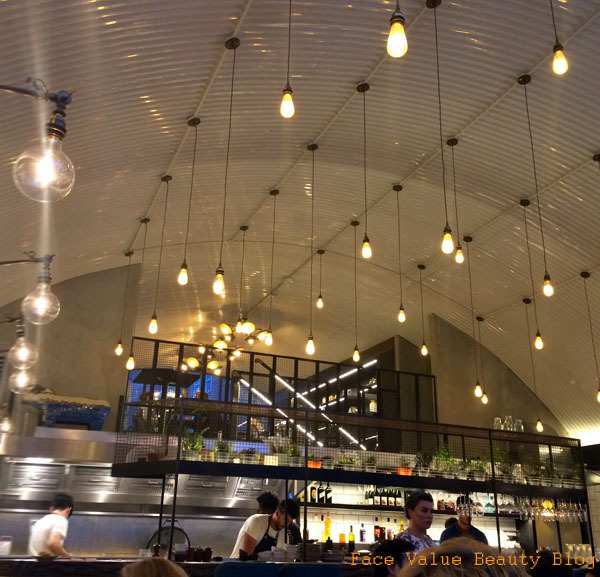 Set under one of the railways arches near Bethnal Green, Paradise Garage is on that row of bars and restaurants which combines sophisticated hipster favourites like Crate, with graffiti walls in the shadow of the old headquarters of Balls Brothers. 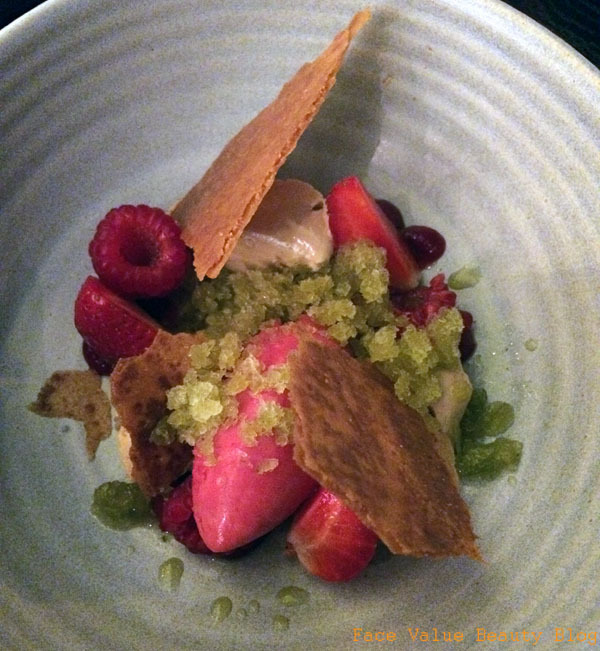 Obviously I went for the tasting menu, at £48 it’s reasonably priced and seemed like the best way to try the showcase of great dishes that they do at Paradise Garage. Food-wise, it’s very similar to The Dairy and The Manor, with a couple of twists – similar heavy stoneware plates and seasonal produce but no bread served in sacks and no chicken skin butter! It’s been replaced by whiskey butter, which is tangy and delicious but nothing in comparison to the butter at The Manor. We knew it was going to be a good meal when Mr FV’s first cocktail came with a big square ice cube, made of ginger infused water. Seriously – not only do I love an oversized ice cube, but a ginger one in a Dark and Stormy covered in heaps of brown sugar and lime, was an absolute winner. 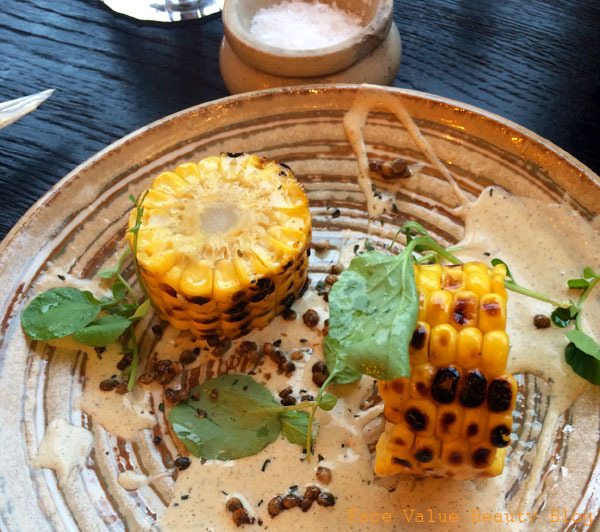 Grilled Sweetcorn, Hemp Seed & Savoury. How have I not discovered hemp seeds yet? Hemp seeds are great, like popcorny bits of puffed rice – they add a great nutty dimension to a dish and I’m definitely going to consider cooking with them. 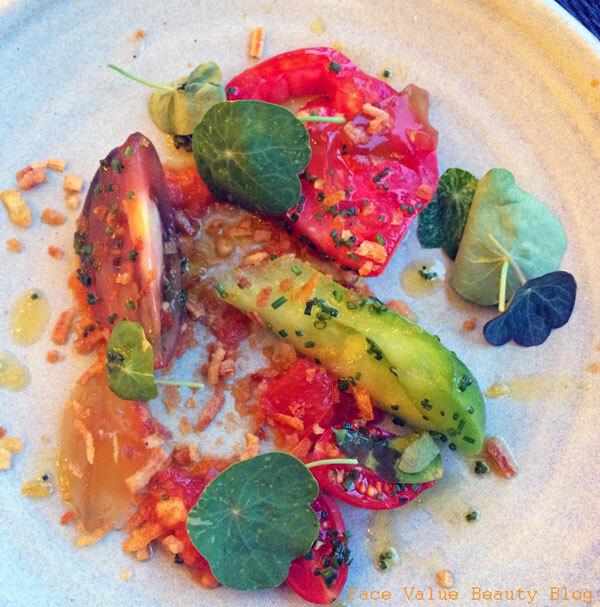 Surprisingly, the biggest highlight for me was the Isle of Wight Tomatoes with Eel Jelly and Nasturtium – which is so savoury and delicious despite having no meat (and I’m a huge carnivore) and the little hints of eel jelly (love a savoury jelly) added an extra burst of flavour. Really nice. 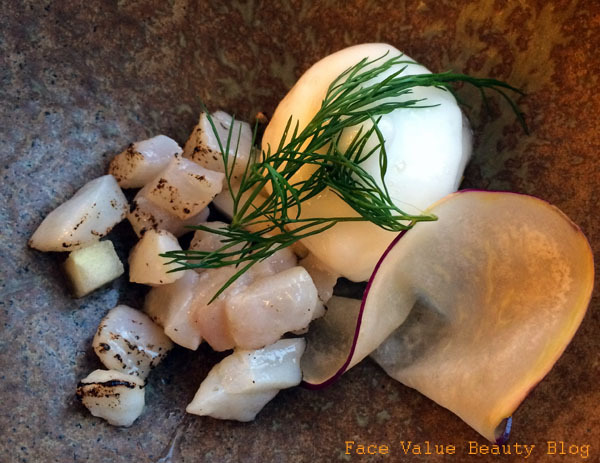 Julie Girl’s Monkfish Tartare, Kohlrabi, Apple & Grilled Lemon was tasty, and fresh and really true to the taste of the fish. I’m a huge fan of ceviche’s and tartares but I sometimes think all the additional acidity overpowers the actual taste of the meat itself and this Paradise Garage dish was the exception. The little pieces of apple were exquisitely matched with the fish. I could have eaten ten of these. YES. To be honest, I wasn’t overly impressed with the mains. 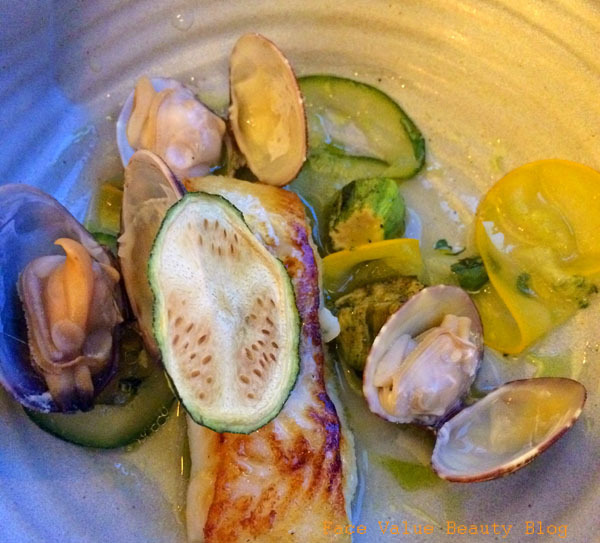 The Lady Hamilton’s Pollock, Clams, Courgette and Herb Oil tasted great – particularly the clams – but looked a bit messy and busy on the plate. 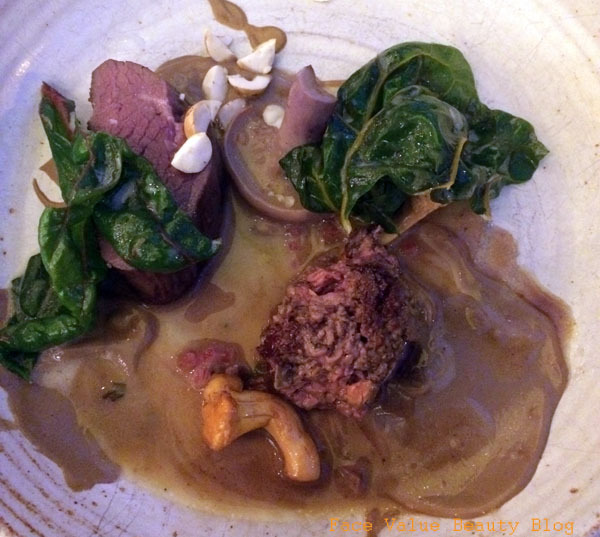 I was also quite disappointed with the Chart Farm Venison, Mushrooms, Chard, Miso & Hazelnuts. Presentationally, it didn’t impress and I’m not sure the miso really worked. 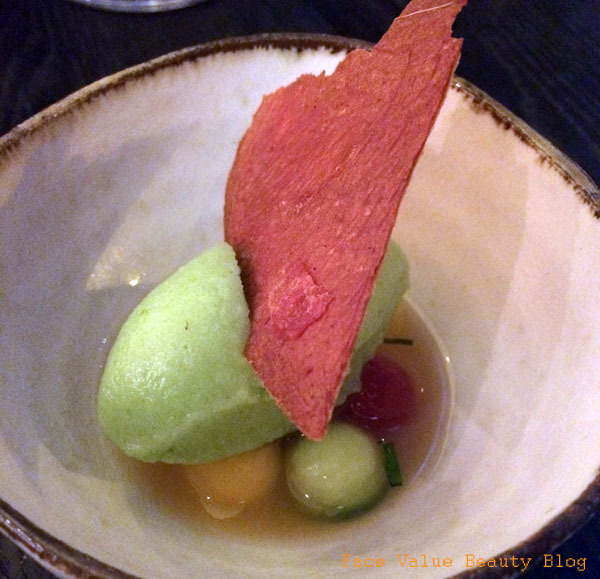 Dessert was definitely better – quite unique and great to try but not mindblowing, not sure if I would order these again on return. The better of the two is Caramelised White Chocolate, ,Strawberries, Raspberry & Lemon Verbena – a whole mix of sweet, rich, tangy and sharp. 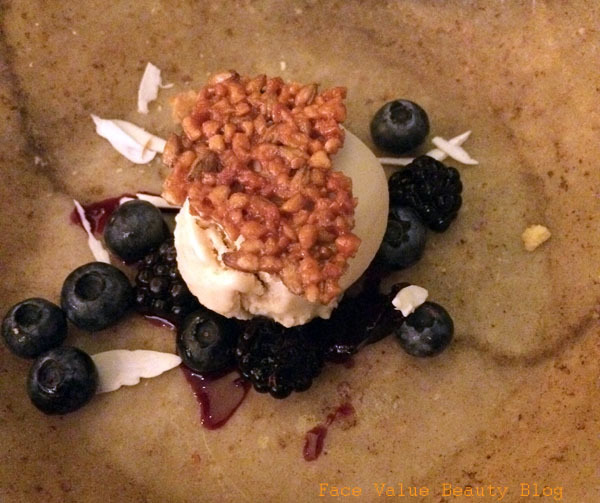 The Innis and Gunn beer ice cream with Blackberries & Almonds was light and refreshing, but nothing overly exciting. A good option for those of you who aren’t huge on desserts though. So there we go! Lots of delicious little dishes, but the mains needed a bit more oomph, particularly on presentation. Oh, and bring chicken skin butter back! Of them all, The Manor was still my favourite experience but I would go to Paradise Garage again – if only to try and sit up at the bar (arguably the best place to sit in any restaurant), so that you can see all the food going through the pass. Tune in next Friday for the next food blog! How was my first food blog? Have you been to The Dairy, The Manor or Paradise Garage?